If you require braces and live in Yonge and Eglinton, there may be an alternate solution. Comfortable, removable and hardly noticeable, Invisalign® clear retainers are the preferred choice for patients wanting straighter teeth without having to wear braces. 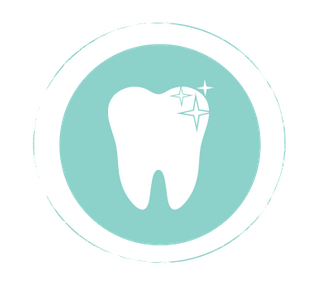 The process begins with an assessment and consultation with one of our dentists who will create a physical impression of your existing teeth for 3D modeling purposes. In cooperation with the technicians at Invisalign®, we'll create a series of aligners to be used during the course of your treatment. Each aligner is worn and disposed of every 2 weeks. As the teeth gradually reposition themselves, a new aligner is adopted. Generally speaking, most patients complete their treatment after a year or so, but positive results will be evident much sooner than that. Eat what you want and maintain your teeth as you normally would. Invisalign® offers wearers the freedom to continue their lifestyle and look like their old selves without having to endure the inconvenience associated with conventional braces. Checkups are recommended every couple of months to ensure your realignment is progressing as planned. Whether you have an overbite, crowding or a gap you would like to correct, Invisalign® just may be the solution for you. Call us today to set up an appointment for a proper assessment of your teeth. Do you have questions about our clinics? We’re happy to assist. Schedule an appointment today to have your teeth examined at one of our Toronto clinics.